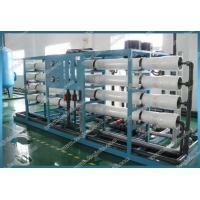 The technology of reverse osmosis adopts theosmosis principle of semi-permeable membrane to make the water in densesolution soaking into diluted solution by exerting certain pressure which oppositesto natural infiltation direction . 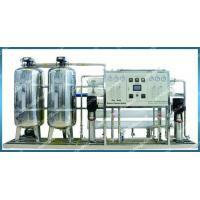 RO device is composed by RO components .Ithas simple structure and brings no pollution and low overall carbonquantity(organism) in the produced water.The equipment adapts to the regionswhere source water with low salt quantity.Now this pure water equipmentsmanufactured by Leojoin company are designed and produced based on the ROprinciple. 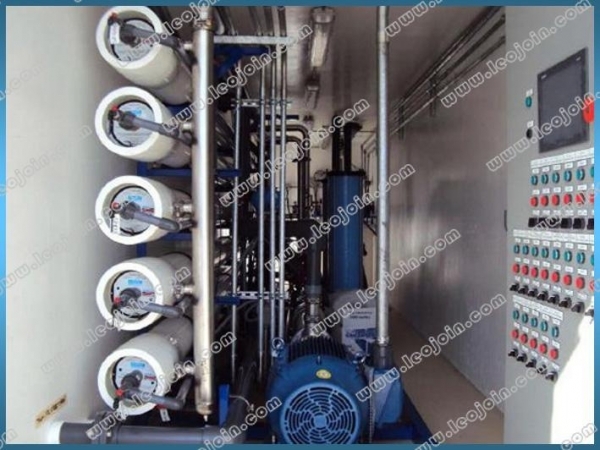 RO is widely used in various areas such asdrinking water plant,industry,uptown water supply project,food-processing industry,medicineindustry ,electronplate industry,etc. 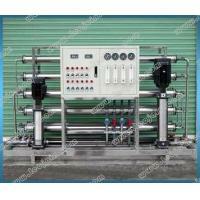 Low power consumption, completely made of 304stainless steel, the pretreatment equipment and pipeline valve are all sanitarymaterial, compact conformation, convenient to transport; It is PLC programcontrolled and can operate automatically; CIP automatic washing system;Installed with conductivity meter monitor, pressure gauge and flow meter. 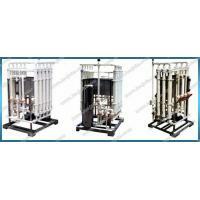 (1) When the raw water flow through the firstfeed water pump and flow into the mechanical filter(also named multi-mediafilter) which filled with five types of refined silica sand ,at the moment, thefloats,impurity,particle,etc which are more than 100um will be retained by themechanical filter also namned as multi-media filter. 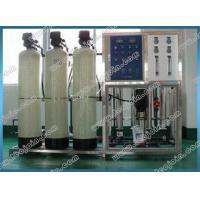 carbonate, calcium sulphate, barium sulphate after theconcentration of water treated by the pretreatment. 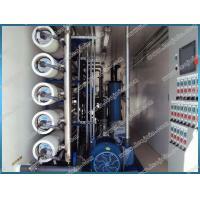 spinning cartridge of 20 inches made by PP , the water filtered by itcan reach the inlet standard of RO. 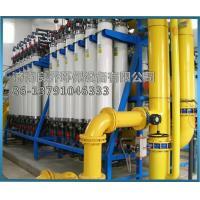 The melt spinning filter cartridge need tobe exchanged after about 3 months. H.K. 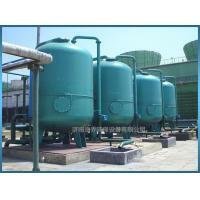 AnjierInternational LimitedJinan Leojoin Environmental Protection EquipmentCo.,Ltd.Founded in1997, is a high-tech enterprise which is mainly specialized in water treatmentequipment, integrating development, manufacture, sales and services. Wefocusing on quality assurance and customer satisfaction to enhance our marketcompetitiveness and build professional teams. Our company covers 40,000 square meterswith 18000 of modern standard environmentalprotection workshop and the complete software and hardware facilities, and hasfixed assets of more than 10 million RMB. Our products spreading all over thecountry and being sold in more than 10 countries, our water treatment productswin praises from customers with reliable quality and complete pre-sales,in-sales and after-sales services. 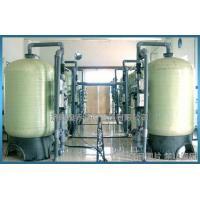 Scope of our business: The productsinclude RO, UF, brackish water & seawater desalination plants, EDI andmobile water plants.reverse osmosis (RO) equipment, fully-automatic softener,screen filter, sand filter, multi-media filter and ultra filtration product.The reverse osmosis equipment, adopting the most advanced membrane andtechnology in the world. 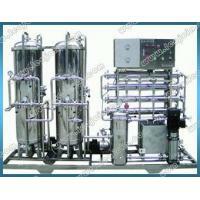 Our desalting and pure water manufacturing techniqueshave reached the world advanced level. Anjier-Leojoin has successfully finishedproject design, installation and debugging, and won high praises fromcustomers. The techniques of the equipment have been very mature after manyyears' improvement. Our products enjoy a good reputation in water treatmentindustry due to easy installation, excellent performance, little maintenanceand perfect after-sales service.Now we are developing the international market,relying on high quality products, excellent service, reasonable price andtimely delivery. Please contact us at any time so that we can make furtherdiscussion.